My favorite quote is from El Guapo, “Would you say I have a plethora of pinatas?” Priceless when said with the accent, and when you see his facial expressions. That line has, over the years, given me a plethora of chuckles! Congratulations! Thanks to all who entered our contest. Better luck next time! Just as promised last time – we’re launching final round of a contest we’re running with our friends at T-shirts.com. 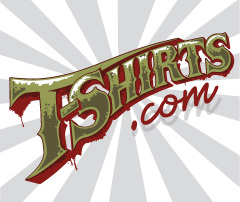 We picked a winner to last weeks’ Band T-shirt contest, and this week you can win one of the tees from T-shirts.com huge & ever-growing Movie T-shirts category. So here are the rules. if you’re our lucky winner you’ll be sent an email by us, asking for your name, street address and size, so make sure you leave valid e-mail address when you’re leaving your comment. 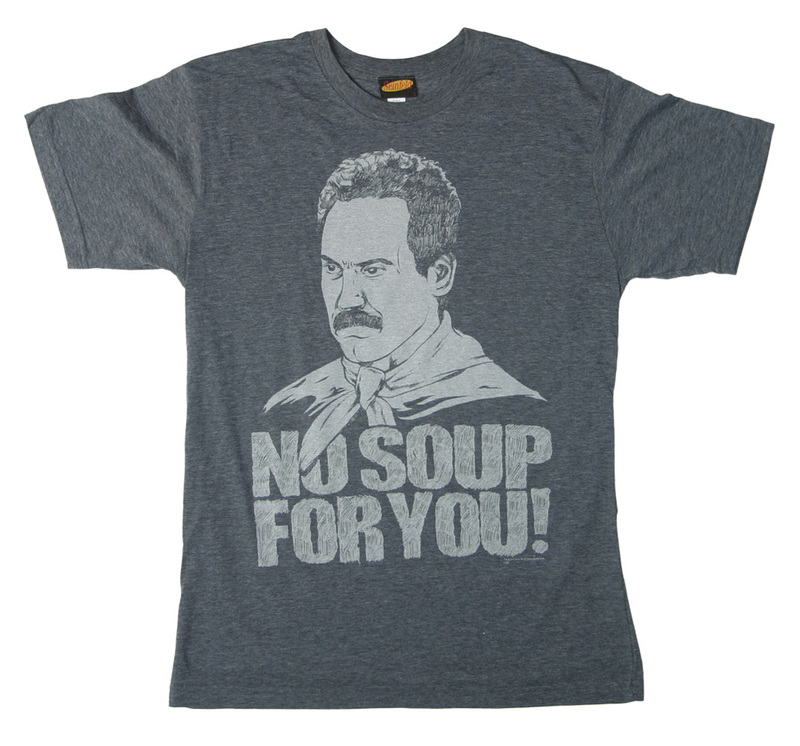 And for those who didn’t know – T-shirts.com is a huge online resource for funny, music, movies, vintage, animal, custom and other types of tees. Hope you find this contest fun enough to participate! Good luck everybody! 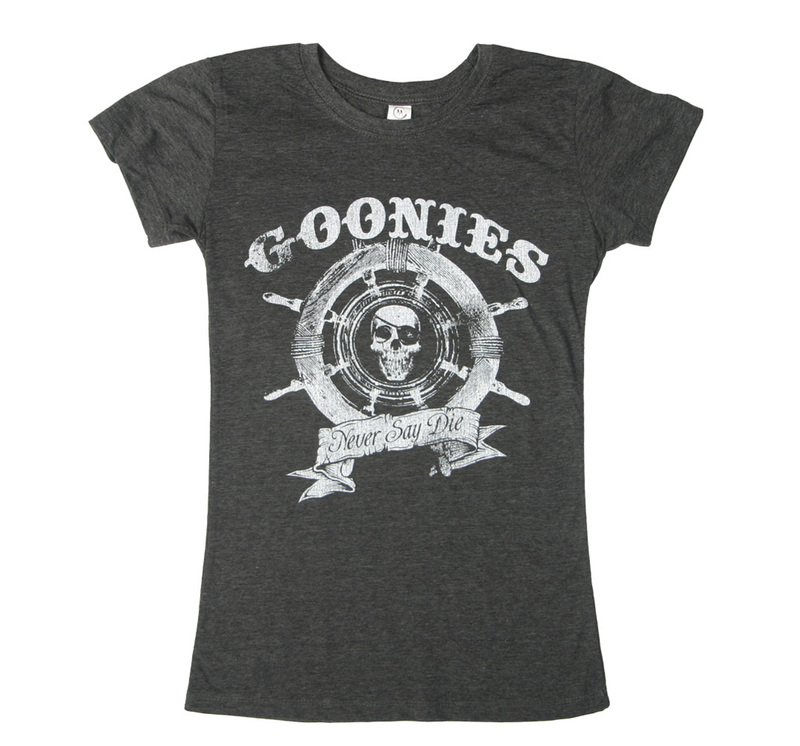 Here are some samples from T-shirts.com – and remember – you can win one of ANY of the tees from T-shirts.com extensive movie category, so pick from there, not just here. just love the line “The band is just fantastic, that is really what I think. Oh by the way, which one’s Pink? Congratulations! Thanks to all who participated in this contest, it was great reading your entries. Good luck next time! 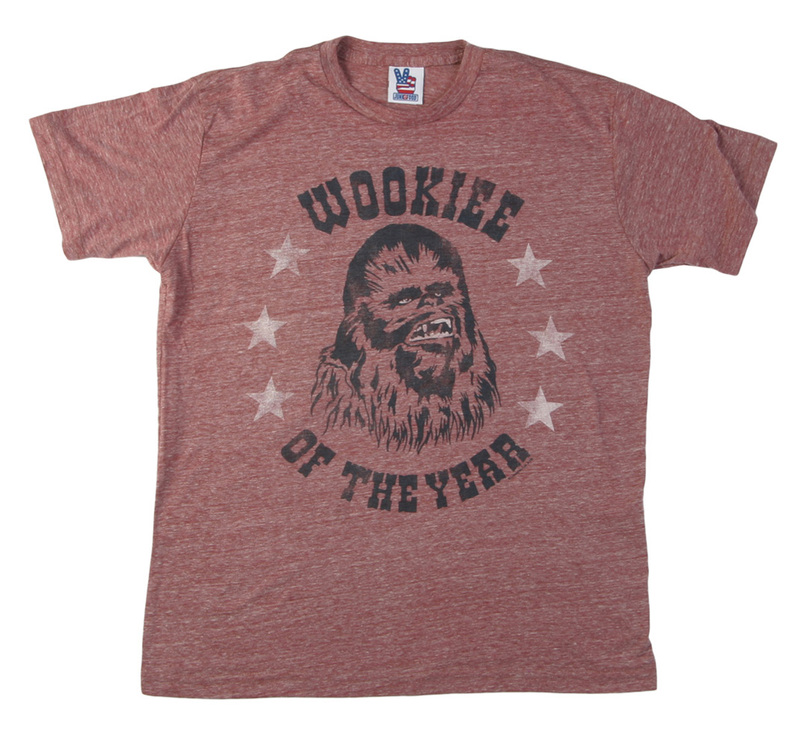 It’s time for the second round of a contest we’re running with our friends at T-shirts.com. Last week you had a chance to win one of their funny T-shirts, and this week they’ll reward you with one of the tees from their huge & ever-growing band T-shirts category. 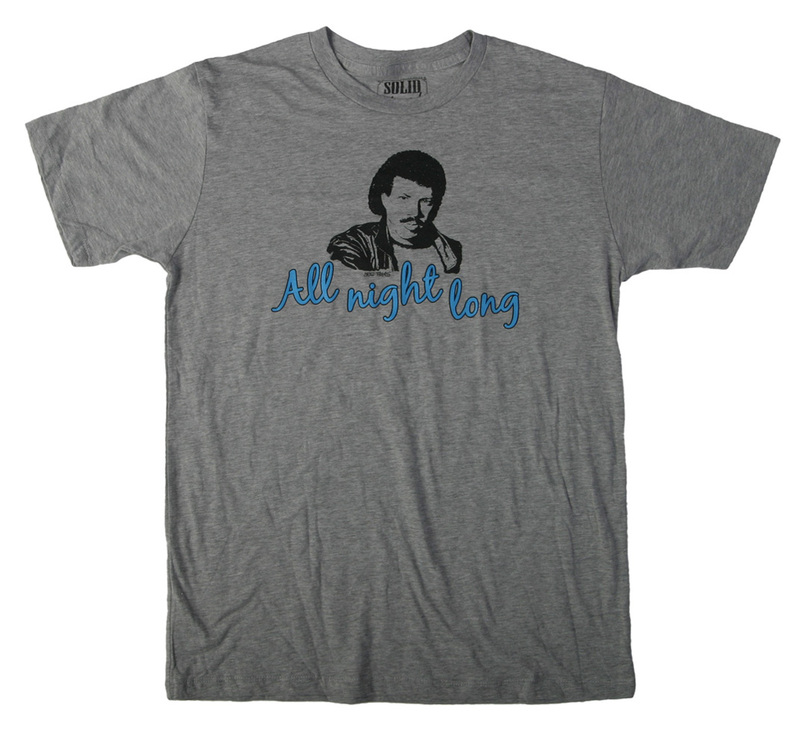 In case you didn’t know – T-shirts.com is a huge online resource for funny, music, movies, vintage, animal, custom and other types of tees. Just like previous week – it’s very easy to participate in the contest. If you want to win one of bands T-shirts you have to prove us you actually do love their music. So, make sure you read all the rules below. Hope you find this contest fun enough to participate! Good luck everybody! 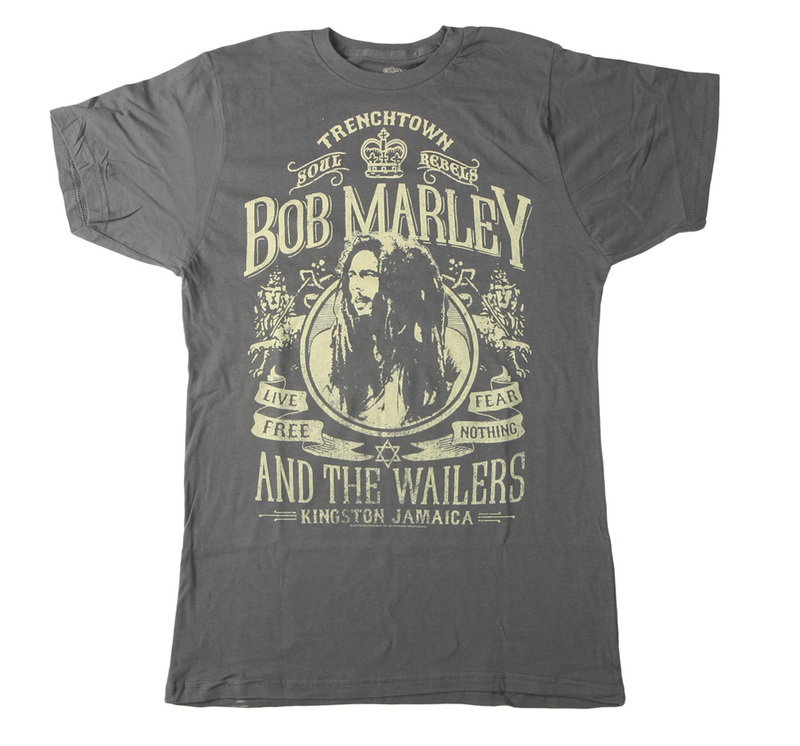 Here are some samples from T-shirts.com – and remember – you can win one of ANY of the tees from T-shirts.com extensive band category, so pick from there, not just here. Why do I love this Tee? Because I always wanted a Big Wheel–but when they came out, I was TOO BIG. That’s why I love the “That’s How I Roll” Tee Shirt!! Gotta have one! Congratulations! And thanks to all others who participated in our contest, we loved reading your comments! All of you can enter our second part of T-shirts.com & Teezine contest, where you can win one of the band T-shirts! Starting today we’re launching new contest with our friends there @ T-shirts.com – a huge online resource for funny, music, movies, vintage, animal, custom and other types of tees! This contest is divided into three parts, so every Monday we’re gonna launch one part. From today (March 7th) until next Monday (March 14th) you have a chance to win one of the tees from T-shirts.com extensive funny category. It’s very simple to enter the contest – just follow the rules below. Monday 14th we’re announcing the lucky winner and we’re launching second part of the contest. Hope you find this contest fun enough to participate! Good luck everybody! Here are some samples from T-shirts.com site – and remember – you can win one of ANY of the tees from T-shirts.com extensive funny category, so pick from there, not just here. Now read the contest rules again and leave your comment here! It is sometimes hard for me to decide if I like the big prints on T-shirts or not. 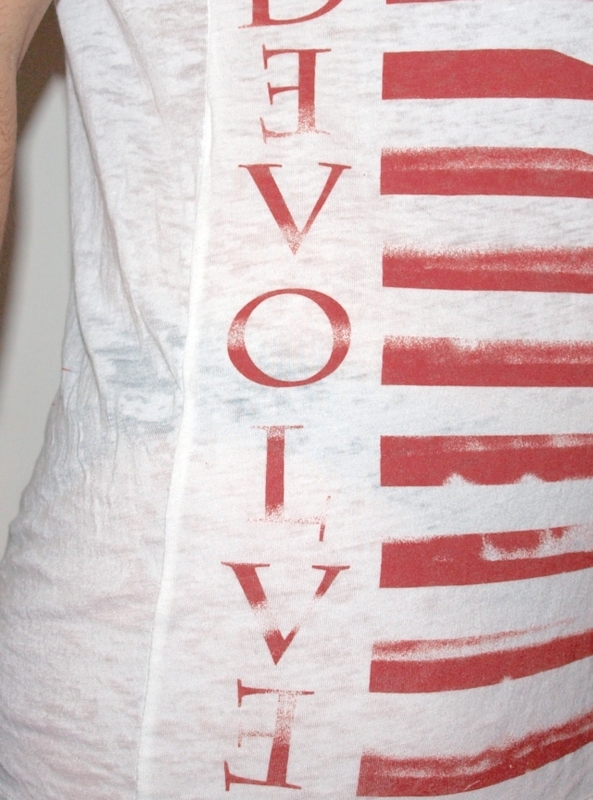 However, with Redhawk Brigade by Devolve Clothing I have no doubt; their designs look really appealing, not being too aggressive – and I like that. They’ve recently offered to send a couple of their shirts for a review, so this will be a double tee review. I asked for one shirt in women and one in men style, but they didn’t have women-styled shirts. However, Joshua of Redhawk Brigade offered to send one men shirt in small size because they receive many such orders from ladies. So, ladies first! 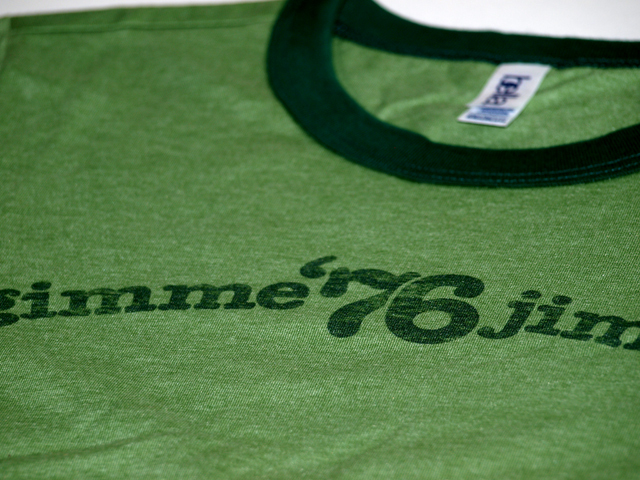 Upon unpacking the parcel and picking up the first shirt – the small one – it was hard not to notice the shirt looks somewhat vintage and worn-out. It is mostly because of the special kind of cloth (25% cotton, 25% rayond and 50% polyester), which looks like it was scratched by cat claws at some places. It makes the shirt unique and looks really great, which you can see for yourself on the photo below. When tried on, the shirt feels very light and falls gently onto body, which makes an excellent choice for the ladies (and gents, of course). The afforementioned “cat claw” effect of the garment makes it a see-through shirt, which may cause a problem for those of you who don’t like your private parts being seen underneath whatever you may wear. Also, it’s a bit longer shirt if you’re a lady of awerage height and may become your favourite shirt when going to the beach (this way you don’t have to worry about the see-through fact). designs, and having in mind they only do big prints – this one is not that big at all. I like faded-out, but strong letters combined with some sharp, dagger-like objects (which again remind me on trails made by cat claws), and it surely adds to that vintage-effect of the shirt. 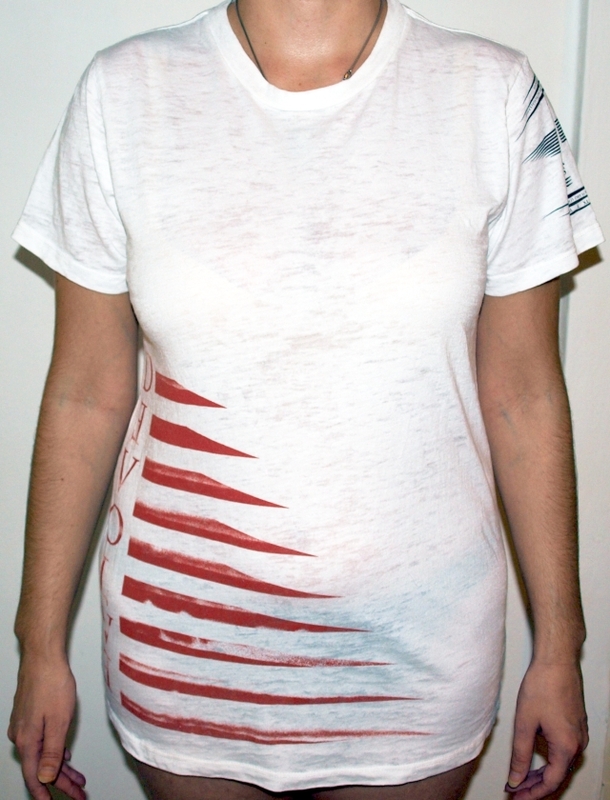 Redhawk also has an unusual way of labeling the shirt; on the left sleeve there is all you need to know about it – percentage of materials used, how to wash and dry the shirt, where it was made and what size it is (in this case size S is marked, which makes the shirt once again unique and different). I like the way all these facts were made into a nice little design, combined with the Latin word “veritas” (belief). 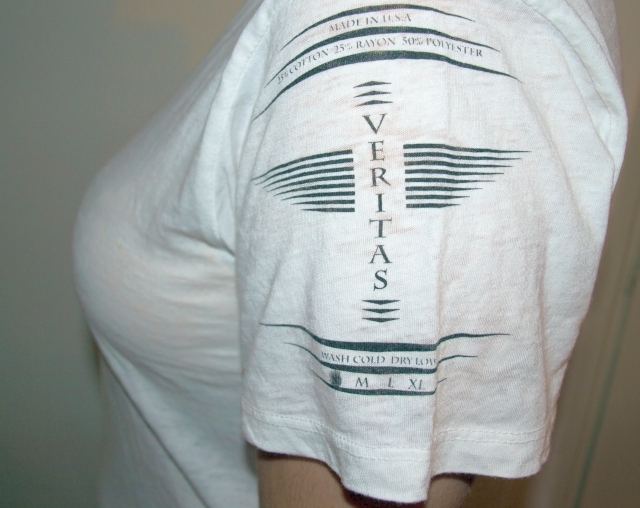 It is not strange Redhawk printed “veritas” on the first shirt, because all of their tee designs have some religious thoughts behind them, and each one tells their own story. So does the other shirt they’ve sent for a review, which is called “hero” and tells the story of Joshua Redhawk’s grandfather Eugene Fabus who served in World War II in Pacific. Joshua let me know his grand dad’s aircraft carrier sustained major damage from a kamikaze and he lost a bunch of his buddies, so this design was made in honor of that man / event. 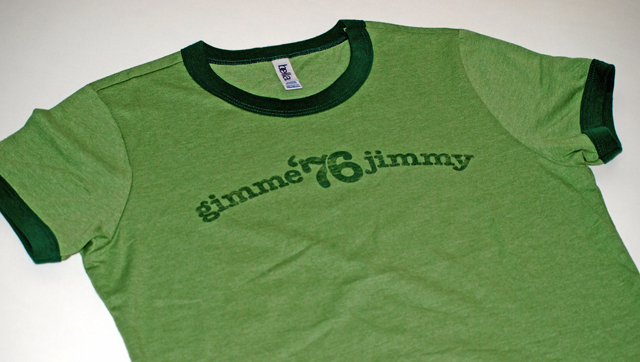 Compared to the first shirt, this one is made of 50% cotton and 50% polyester. I ordered it in my usual size (M), but upon trying it on I’ve noticed it fits a bit too slim (at least for me). Now, although my body isn’t that of ideal proportions at all, you might wanna have this in mind when ordering this particular shirt and ask before placing an order. However, the shirt feels soft enough to be worn comfortly. 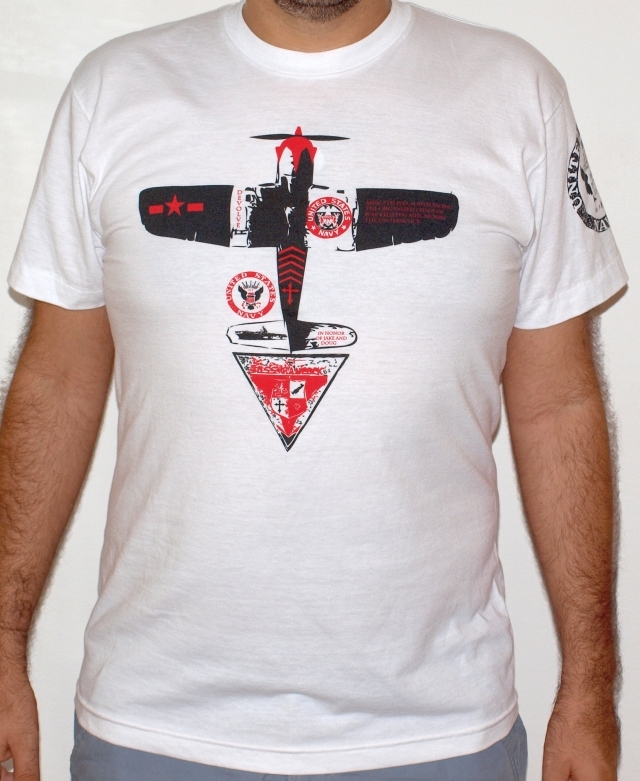 The design is strong just as the story behind it, and even if you don’t like airplanes and similar imagery you will find yourself to be attracted by this shirt. Although the images are ripped, they look stronger and clearer than on the first shirt, and the afforementioned story of Joshua’s grandfather is “explained” to tiny details on the back. 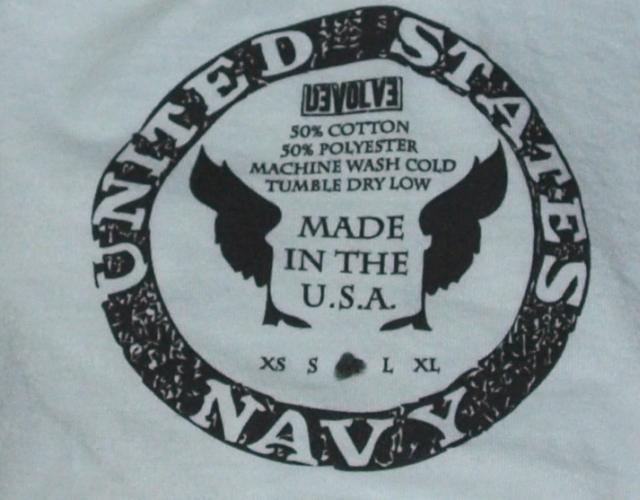 Just as the first shirt – this one is also labeled the unique way, with all necessary details being printed on the left sleeve (size is again marked). It was once again made into a nice design, combined with US Navy logo imagery. Oh, not to forget the prices – the first shirt is available for $55 , and the second is on sale at the moment and costs $30 (cut down from $45). Although I think it’s a bit pricey, you must have in mind you’re not buying yourself “just another T-shirt” for wearing around. And I’m sure fine folks at Redhawk will throw a few stickers / arm bracelets in your parcel (plus they offer hoodies, long sleeves, accessories and such). 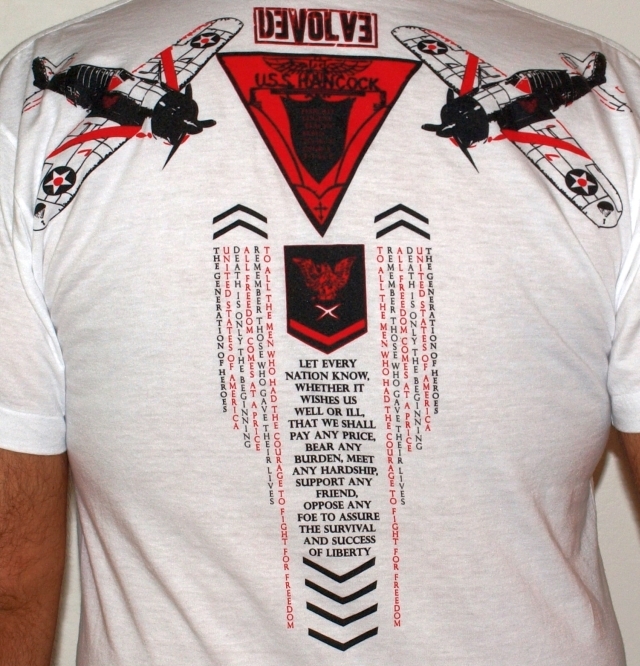 Now, I don’t want this to sound cliche, but Redhawk Brigade / Devolve Clothing produces really unique shirts with some pretty strong messages, represented by big prints which surely stick out from the bunch in this urban jungle the nowadays’ world is turning into. So, don’t be surprised to see their shirts worn by the members of your favourite bands, stand-up comedians or even Hollywood stars, because from what I hear – Redhawk Brigade is on it’s way and you better renew your supllies (you can do it here)! I presume all of you must have seen Ramones “the presidential seal” eagle logo, here and there, thousand times already. Posters, pins, stickers, flags, video and record sleeves, and of course – shirts! Well, did you ever wonder who made that famous logo? In case you didn’t know – it was the illustrator and the designer Arturo Vega, a long-time Ramones collaborator on their various record sleeves and their merchandise (not just that, he was more like a “fifth-member” of the band, helping them with stage equipment and all). The logo itself was created because Vega wanted to portrait an “all-American” band with “the presidential seal”, and that’s why he changed the phrase on it which originally says “look out below” to “hey ho, let’s go” from Ramones song “Blitzkrieg Bop” (although on the upper picture we have an original quote). And while originally eagle’s holding an olive branch, Vega changed it to apple branch because of the “all-American” apple pie (along with the baseball bat in the other claw, which represents Johnny Ramone’s love of that “all-American” sport). Vega also added the names of first and legendary Ramones line-up, which consisted of Johnny, Joey, Dee Dee and Tommy. 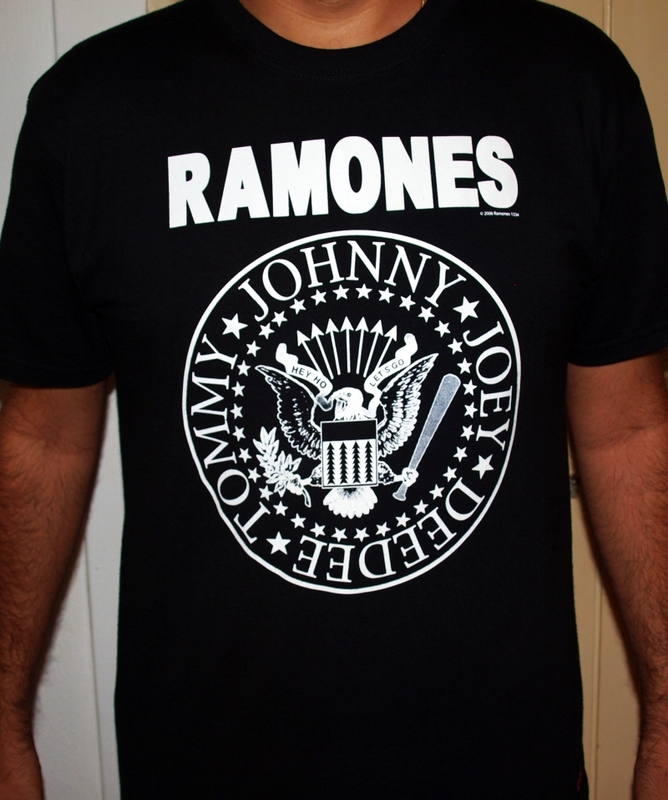 Now, the logo itself printed on shirts became so popular that not only Ramones fans wore them worldwide, but was also populized by many other rock stars and celebrities, too. Below we have an example in the form of Paris Hilton (although we all will agree she didn’t pick it up herself, most likely her stylist recommended it to her). 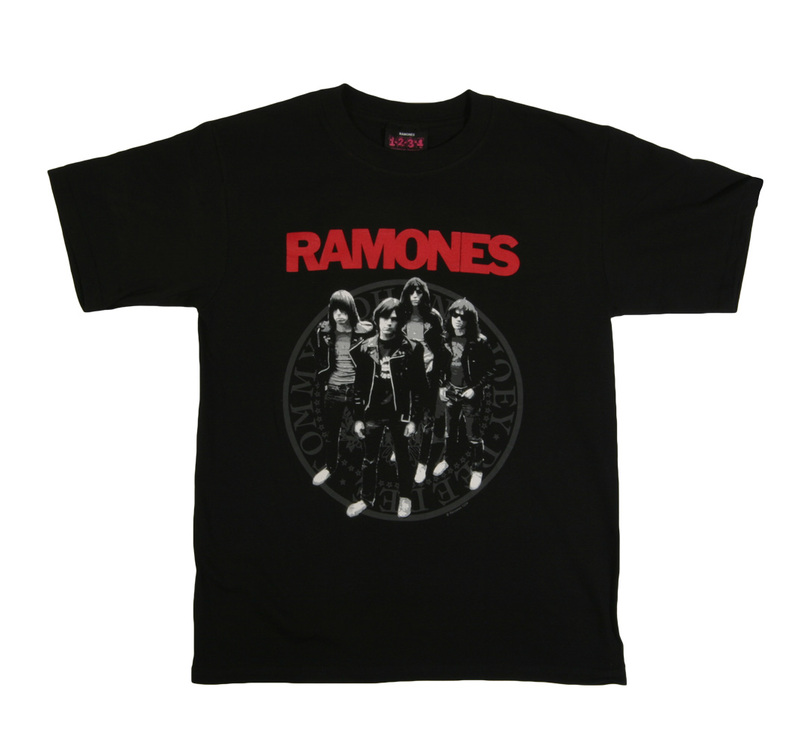 Being that popular, the famous Ramones shirt is (nowadays more than ever) illegaly printed and sold around the globe, and there are not many shops which carry original Ramones merchandise. Fortunatelly, UK-based online shop called Mr. Cloud carries it, and they do so in the case of many other famous rock bands (for example – The Doors, The Beatles, The Who, the Beach Boys and also some of my favourites – Sonic Youth and the Pixies). Oh, not to forget misters Bowie, Mercury, Dylan, Clapton… Along that, Mr. 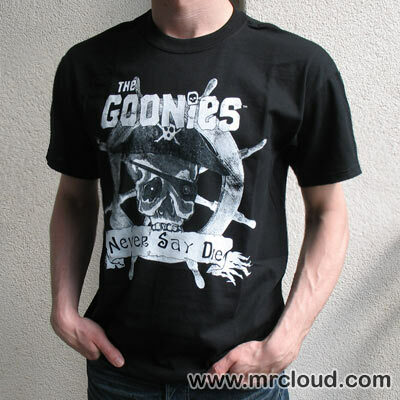 Cloud also has legendary movie-themed shirts, such as the “Goonies” (never say die! ), “Clockwork Orange”, “Grease”, “Superman”… Plus, there are plenty of shirts available with imagery from classic toons. Seems like Mr. Cloud understood well that mixing retro and “evergreen” images always does well. And what I like about it – they do it with a style; fine folks at Mr. Cloud design and print their shirts theselves! And now – back to THAT Ramones shirt! Recently I was offered by Mr. Cloud to choose one of their shirts for a review here at Tee zine. Since Ramones are one of my favourites for… well… 20 years now, my choice was obvious. After the shirt arrived I was pleasently surprised by it’s quality. This Fruit Of The Loom tee is quite heavy and the cotton is a bit thicker. The eagle logo printed on the front, and the Ramones slogan “hey ho, let’s go” on the back feels somewhat boldly beneath the fingers. Chosing this kind of shirt will fit slim to your body, but luckily not too much, so there is enough space for skin to breathe at hot days. Plus, it will give you the feeling you’re wearing your famous band shirt with a certain sense of pride, like I do feel wearing mine (especially after seeing Ramones live two times “back in the day”). Not once I’ve stated details are what makes the difference, and with this shirt we have such detail in the form of a piece of cloth sticked to the shirt itself, which proves this is a part of original Ramones merchandise. 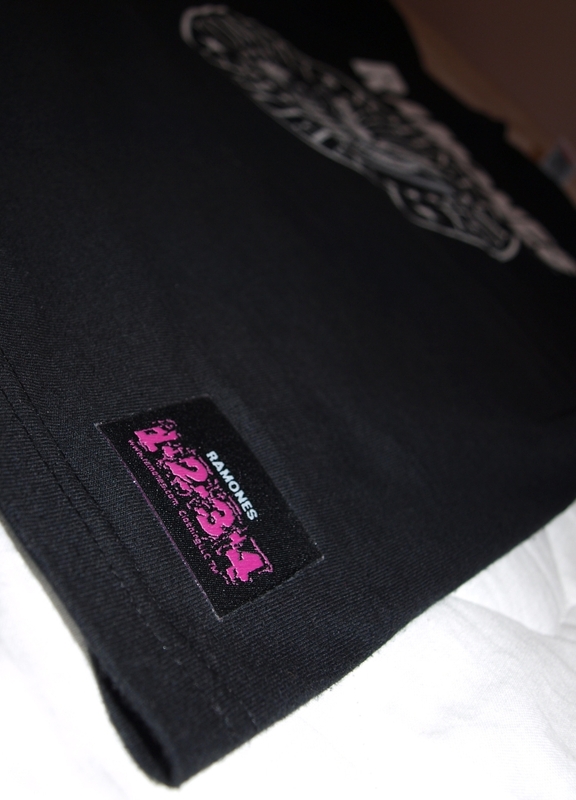 It also makes this shirt stick out from the bunch of look-alike illegaly printed Ramones shirts with the same logo, Plus – it looks nice, too (heavy pink printed on black). 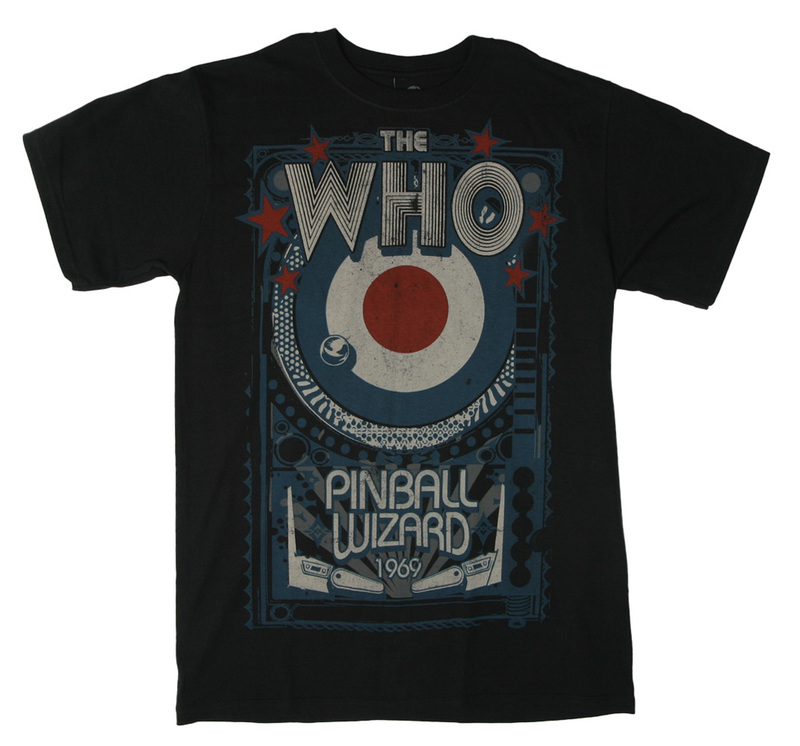 Since the print on this shirt is double-sided, I think the price of 18 British pounds is quite fair, having in mind that not so popular bands do sell their tees for a much, much more. 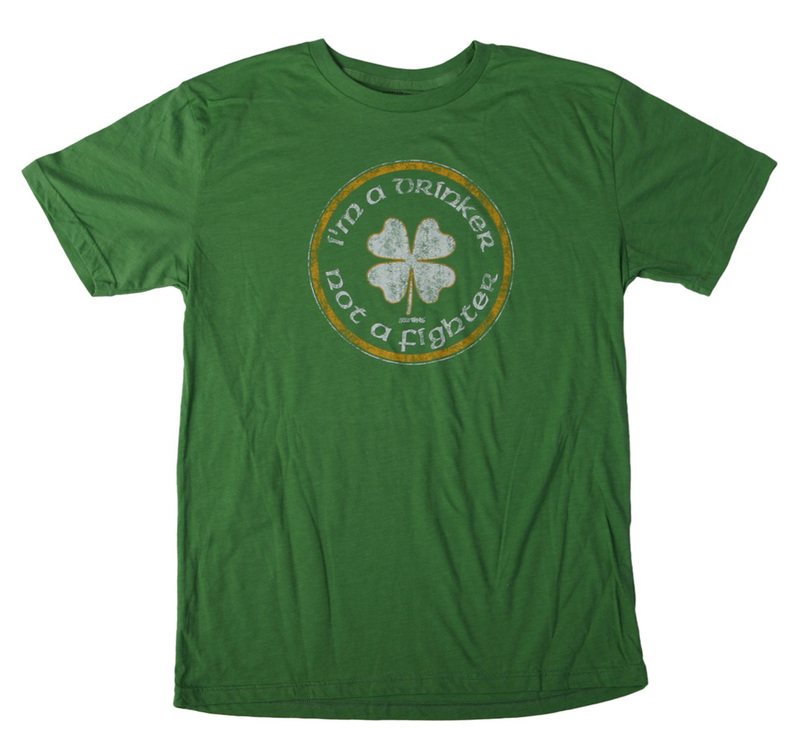 And if you decide to order one-sided shirt (only with a logo) the price is 15 pounds. There is no doubt Mr. Cloud will deliver it quickly (my shirt arrived only a few days after I ordered it). So, if you’re still living in the past (or “the best years”, in my opinion) go check their online shop, I am 100% you will find something you like. Mr. Cloud – please rain on me! Can ancient be re-produced and made as an iconic rock fashion brand? If so, isn’t it sort of a cliche maybe? Judging by relatively new indie label from London, called Ivory Skies, it isn’t – at far as I’m concerned… Focused only on T-shirts so far, Ivory Skies combines rare ancient artwork with their own designer cuts. Their first collection, called “Ebony & Ivory”, really made an impression on me. I haven’t seen black print on white shirt that’s so eye-catching for awhile, and I think it’s a great idea to breathe in some new life into the designs which bring to mind Aztecs, Leonardo Da Vinci sketches, and some Biblical elements, such as angels. Paying an attention to detail, they explain: “We take pride in our garments and make it our priority to deliver comfort, durability and last but not least, a damn good looking tee”. New releases are to arrive very soon and Ivory Skies is sticking to their plans of releasing different colors and even better designs. However, if you’re into those big fluorescent prints that are considered “in” in the tee business nowadays, don’t hold your hopes high, because Ivory Line is not that kind of a label. Can’t wait to see more from these fine lads!